A view down Winkle Street, much the same today. 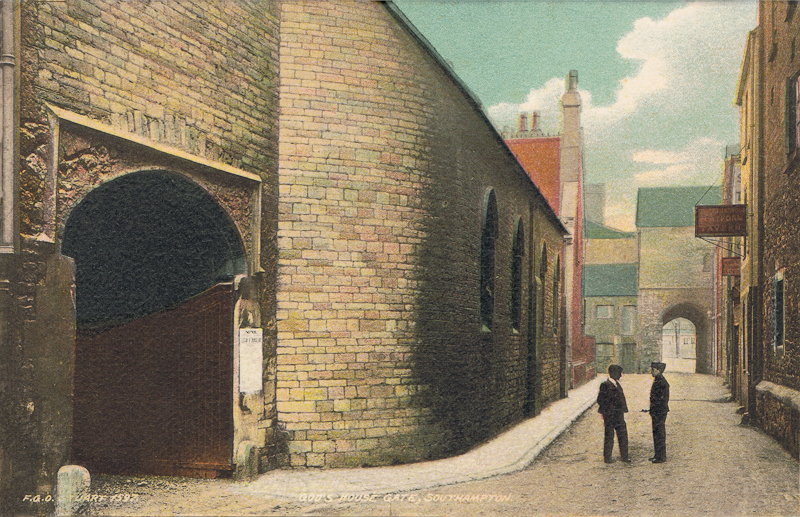 The Platform Tavern is still on the right, St Julian's Church on the left and Gods House Tower at the end of the street. This area was heavily damaged during the bombing of the second world war so was fortunate to escape largely unscathed.